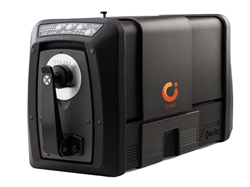 The X-Rite Ci7800 is a next-generation benchtop sphere spectrophotometer for the accurate measurement of color across the entire supply chain from concept design through final product. At the American Coatings Show, attendees can speak with an X-Rite color expert about how to reduce color errors and establish best practices for evaluating and measuring color. X-Rite Incorporated, a global leader in color science and technology, and its subsidiary Pantone LLC, will showcase its latest color management solutions at the American Coatings Show, April 12-14 in Indianapolis, Indiana. Using lighting, formulation and measurement solutions from X-Rite, production and quality managers can implement standard procedures to achieve accurate color the first time and every time. As a result, manufacturers and suppliers can improve speed to market by reducing the number of color corrections needed to meet customer expectations. VS450 non-contact benchtop spectrophotometer, designed for color and gloss measurement on wet or dry samples including paints, powders and plastics. MA9X multi-angle spectrophotometer, an intelligent, hand-held tool with the power to provide reliable, consistent color data on special effect coatings such as metallic and pearlescent pigments commonly used in automotive paints. Ci7800 benchtop sphere spectrophotometer, which delivers accurate and repeatable sample-to-sample color measurement, from raw materials all the way through to the delivery of an on-spec color product. Color iMatch, software that provides accurate color formulation for paint and plastics to meet any customer-provided standard. Helps reduce formulation costs with spectral matching to determine the most cost- effective amount of pigment to achieve accurate color at any opacity level. NetProfiler software, which verifies, optimizes, and certifies handheld and benchtop spectrophotometers used in the supply chain at locations worldwide. For more information about X-Rite Pantone’s plans at the American Coating Show 2016 visit http://www.xrite.com/xrite-pantone-at-the-american-coatings-show or http://www.xrite.com/paint-coatings. Founded in 1958, X-Rite, Incorporated is a global leader in color science and technology. With its wholly owned subsidiary Pantone, X-Rite employs more than 800 people in 11 countries. The company’s corporate headquarters are located in Grand Rapids, Mich., with regional headquarters in Europe and Asia and service centers across Europe, the Middle East, Asia, and the Americas. X-Rite Pantone offers a full range of color management solutions used by manufacturers, retailers, printers, photographers and graphic design houses to achieve precise management and communication of color throughout their processes. X-Rite Pantone products and services are recognized standards in the printing, packaging, photography, graphic design, video, automotive, paints, plastics, textiles and medical industries. For further information, please visit http://www.xrite.com. Pantone LLC, a wholly owned subsidiary of X-Rite, Incorporated, has been the world’s color authority for nearly 50 years, providing design professionals with products and services for the colorful exploration and expression of creativity. Always a source for color inspiration, Pantone also offers paint and designer-inspired products and services for consumers. More information is available at http://www.pantone.com. ©2016 X-Rite, Inc. All rights reserved. X-Rite is a registered trademark of X-Rite, Inc. All other trademarks are the property of their respective owners. PANTONE® and other Pantone trademarks are the property of Pantone LLC. © 2016. All rights reserved.